Malcolm Turnbull has suffered a horror slump in support as the ­citizenship crisis engulfs parliament, with voters slashing his lead as preferred prime minister at the same time as he faces new threats to his authority and signs of cabinet division over his leadership. 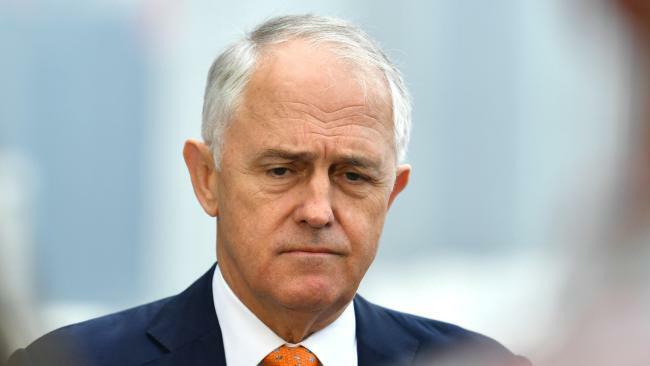 Voters have delivered a damaging blow to Mr Turnbull’s standing as preferred prime minister, cutting his rating from 41 to a new low of 36 per cent and narrowing his lead over Bill Shorten to just two percentage points. In its worst result since February, the Coalition now trails Labor by 45 to 55 per cent in two-party terms in a swing that would cost the government more than 20 seats, just as it prepares for another snap by-election in a bid to keep its slim majority in parliament. The latest Newspoll, conducted exclusively for The Australian, shows the Coalition’s primary vote has fallen from 35 to 34 per cent after a fortnight of bitter argument over citizenship, only the second time core support has fallen so low under Mr Turnbull’s leadership.